It is my last day in San Diego, time for another treat, i.e. another smoothie with wonderful fresh fruits and veggies! 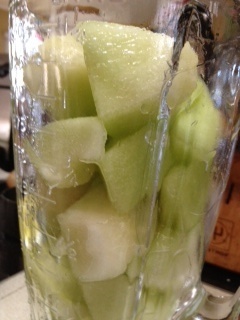 I decided that today was my day to go green and use green – honeydew, cucumber, and lime. 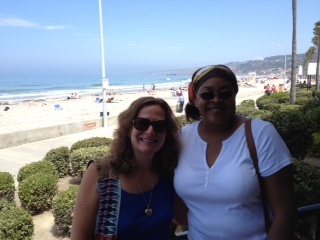 Heather and I had had a wonderful brunch in La Jolla – Amazing huevos rancheros and a baja omelet. And great views of the beach and cliffs. I could get used to this California lifestyle. But brunch was way too much food for us to have a separate lunch. So all we wanted mid-afternoon was a refreshing smoothie. 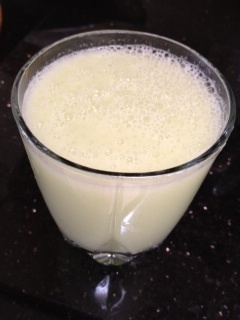 The cucumber-melon smoothie is sweet-tart; I really, really liked it. The flavor is different from most smoothies, and I found it very refreshing. Heather and I both agreed that lemon sorbet was the ideal cooling agent for it (in place of, or in addition to, ice). This won’t be the end of my San Diego cooking adventures – I am bringing some wonderful local ingredients home with me – pickled garlics, fresh raisins, flavored almonds. I can’t wait to figure out cool ways to use these with my garden foods! 5 ice cubes or 1/2 cup lemon sorbet, or some combo of the two. If you want it more frozen, use more ice. Blend til smooth. Pour into 2 glasses and …Enjoy! While staying with friends in San Diego, I got to try some cooking with a whole new bunch of local foods! 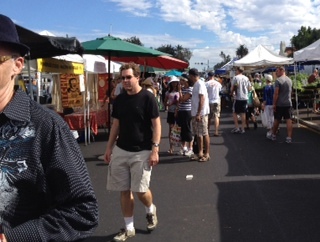 So the first order of business was a trip to the Hillcrest farmers market. What a treat that was! 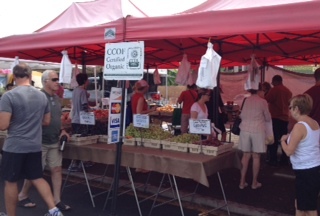 Lots of things we don’t get in the mid-atlantic: mangos, figs, almonds, olives, freshly dried raisins…yum! I was in heaven! 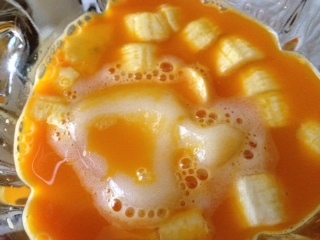 It was very hot here today, so when we got home it was time for a smoothie – a carrot mango lemon smoothie. 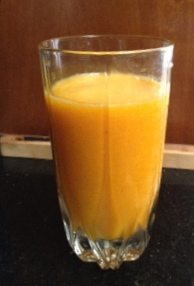 This one is adapted from Bobby Flay’s carrot mango smoothie recipe. I know, how can you change a Bobby Flay recipe? 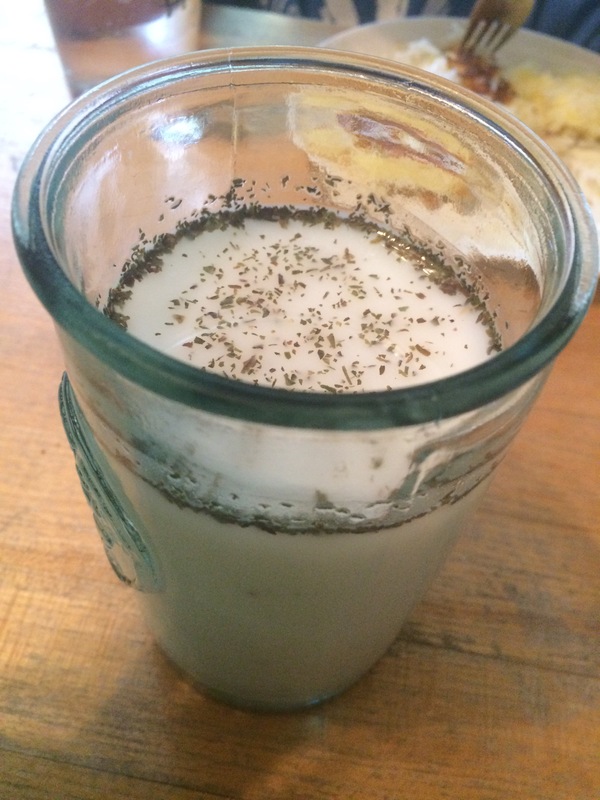 It was my friend Heather’s brainchild – use lemon sorbet in place of some of the ice. It worked! 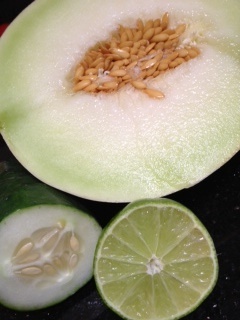 It amped up the citrus and even added a little tang. 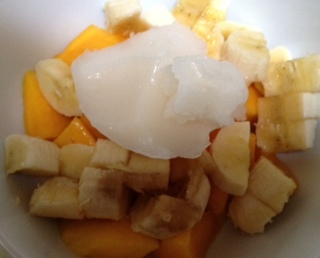 Chop the banana and mango. Blend until smooth. Pour into glasses and enjoy!